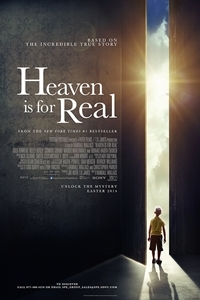 Todd and Sonja Burpo are a real-life couple whose son Colton claims to have visited Heaven during a near death experience. Colton recounts the details of his amazing journey with childlike innocence and speaks matter-of-factly about things that happened before his birth: things he couldn't possibly know. Todd and his family are then challenged to examine the meaning from this remarkable event.